Where Dealers are Customers! Not Competition! 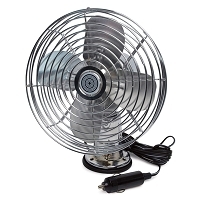 Stay warm this winter with this 12-Volt mountable ceramic heater/fan. 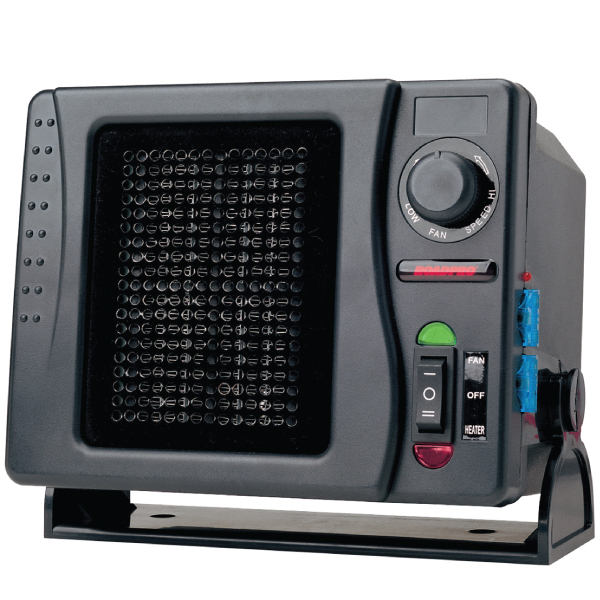 Heater features a 3 position switch from heating to fan only. Rotate top knob to adjust the fan speed to your preference. Easy to install and complete with installation instructions. 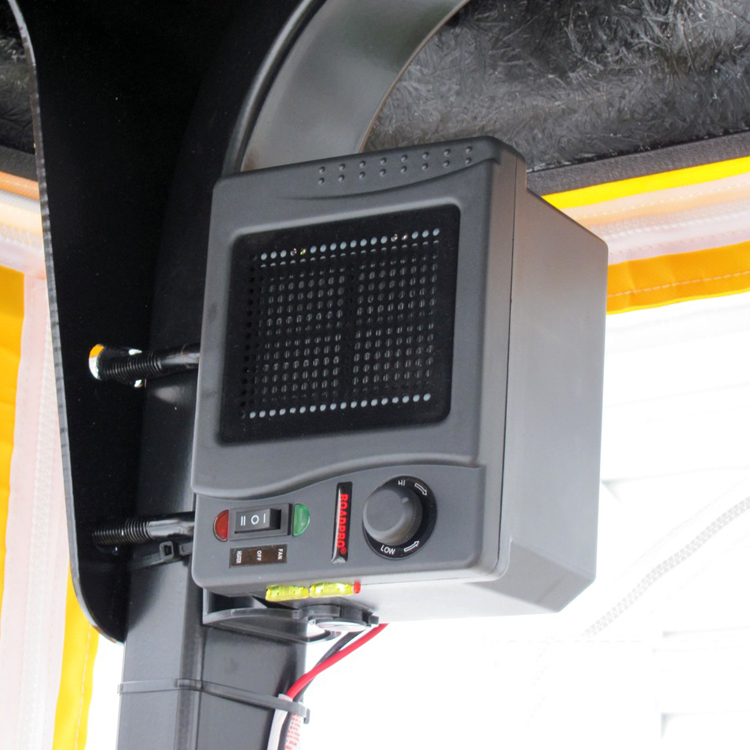 Positive cable is fused.The 12-Volt Direct Wire Ceramic Heater is the largest, most powerful 12-Volt DC heater available. 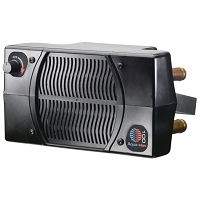 300 watts of power ensures plenty of heat where you need it. Directly connects to your vehicle battery. This Limited Warranty from RoadPro applies to all electronic products and devices manufactured by RoadPro and sold under the brand name RoadPro. RoadPro warrants that the product you have purchased from an authorized retailer is free from defects in materials and workmanship under normal use during the warranty period of one (1) year. The warranty period begins on the day of retail sale. This warranty extends only to the original purchaser. It is not transferable to anyone who subsequently receives the product. It excludes all expendable parts (finishes, foam, fuses). During the warranty period RoadPro will repair your defective product, replace it with an identical item, or at our option exchange it for a product of equivalent value and performance. This Limited Warranty does not extend to any product that has been damaged or rendered defective as a result of: an accident, misuse or abuse, as a result of an act of God, by operation outside the usage parameters stated in this manual, by modification of the product, attempted repair, or as a result of war or terrorist attack. Other limitation of this warranty exclude; payment for your lost time, loss of use of your product, property damage caused by the product or its failure to work, or any other incidental or consequential damages including personal injury. Except as expressly set forth in this warranty statement, RoadPro makes no other warranties expressed or implied. Defective products must be returned to the dealer within 30 days. 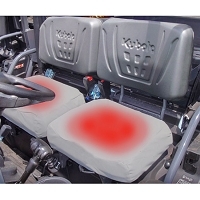 After 30 days, and up to one (1) year, the product may be returned to RoadPro. Any package with a PO Box address will not be processed, and will be held until further notification from you. Make sure you can track your shipment to us. RoadPro will not be responsible for lost packages. 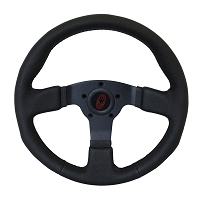 RoadPro will not be responsible for damage incurred during shipment to us. Failure to provide a dated proof of purchase will invalidate warranty. For customer assistance and technical support call 1-866-622-7979, Monday through Friday, 8:00 AM to 4:30 PM Eastern Time, or email techsupport@roadprobrands.com. Copyright 2008-2018 Wiedmann Bros. Distributing Co., a division of Scottie Dog, Inc. All Rights Reserved. Mahindra, Massey Ferguson, New Holland, Polaris, Toro, Yamaha, logos and images are registered trademarks of each company respectively.